aka, I have a blog and want you to read it. For those not aware of the amazing new(ish) way of reading websites and for those who are aware, but might be looking for a better reader, herein lies some info on how to get yourself started on an easy method to read all your favorite websites and save yourself a ton of time. This is a standard in formatting and logoing that the major internet browsers agreed on. There are a few different versions, but any good reader should be able to index any of them just fine. Take a look around to your favorite websites for the orange icon on the left - you'll probably find plenty support it now. 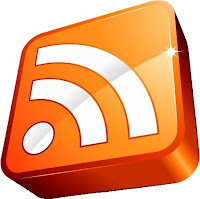 So what does an RSS feed actually look like? To answer the question of why we're here: How does this help you? The first thing you need is an RSS Reader or Feed Reader. There's a bunch of dedicated programs out there, Internet Explorer has it built in and Outlook has it built in - my personal favorite though is Google Reader. (http://www.google.com/reader) If you don't already have an account, you can sign up there for free. So on the left side, there's a list of what's new, all your Google friends, recommend blogs based on your subscriptions and then your actual subscriptions. Subscriptions with updates turn bold and show the number of new articles. You can organize them into folders, drag and drop to move them, really simple and streamlined stuff. 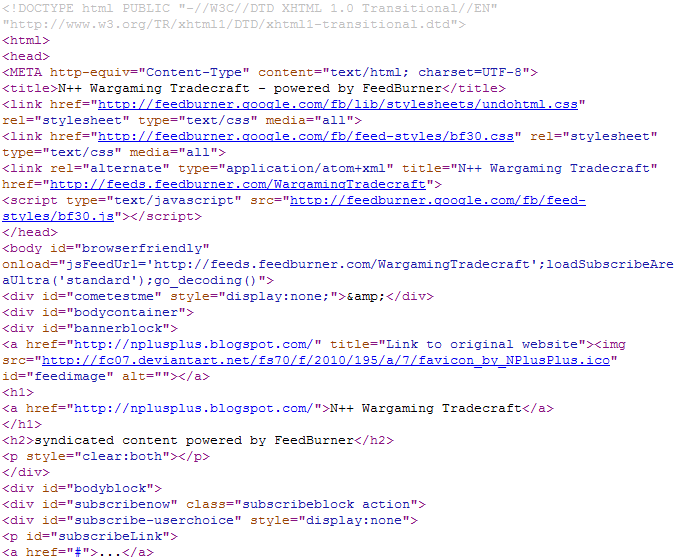 On the right hand side is every post on the blogs you follow. No clicking "next page" - just keep scrolling down. There's no extra formatting, no irritating colours, links stand out - clean. If your browser has a problem with a gadget someone has on their site - no problem, it won't be stored in the feed. 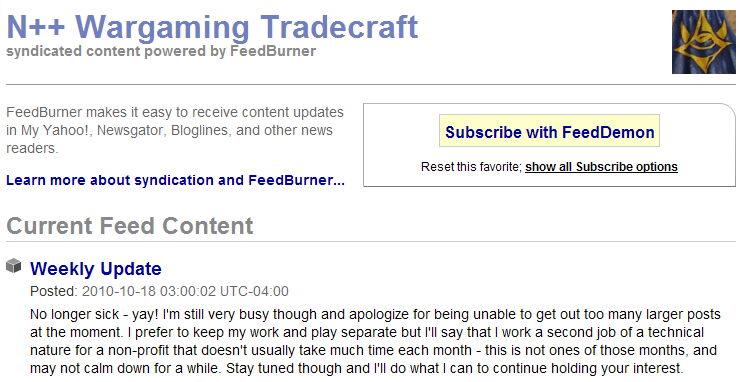 Feeds also fit to your screen so it doesn't matter if a blog is formatted too large for your monitor. Another insanely useful feature of Google Reader is the ability to translate foreign language blogs into your native tongue. It's not perfect and the grammar might be a little rough, but it expands your ability to use the internet to another level. I still recommend checking out your sites from time to time because that extra formatting is actually useful since it's sometimes used to advertise contests, new content, useful links, etc. It also doesn't automatically add you as a "Follower" so if you really like a site, you should click through and look for their "Follow" button to show your support. Depending on the formatting of the feed you're reading, there may be a link to the comments at the bottom of each post, otherwise you'll have to click a post's title to be taken to the blog post if you want to share your thoughts. 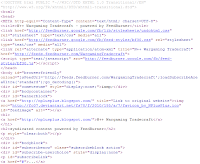 From here, you just need to goto all your favorite sites and look for their RSS link(s). 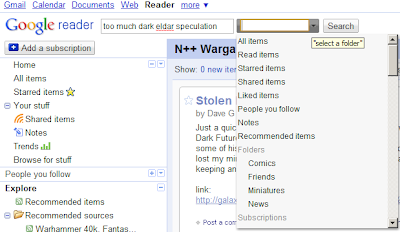 This, you copy and in Google Reader the down arrow to the right of Subscriptions has the "Add" feature where you paste the link. Certain sites, like Blogspot/Blogger allow you to paste the blog address in and not worry about hunting the RSS link. Blogs, Twitter, News sites, web comics - they all use RSS now. Sites with content like news, will break their RSS feeds down by category - one for tech, another for local, or health, or anything. This is an incredibly easy way to have all your favorite sites indexed in one place you can access from any web browser. RSS Readers keep checking your feeds for updates so they tell you when there's new content - you don't have to click through a ton of favorites to see if any of your sites have something new to read. As reader Tristan points out, I did forget to mention one of Google Reader's other great features - Search. 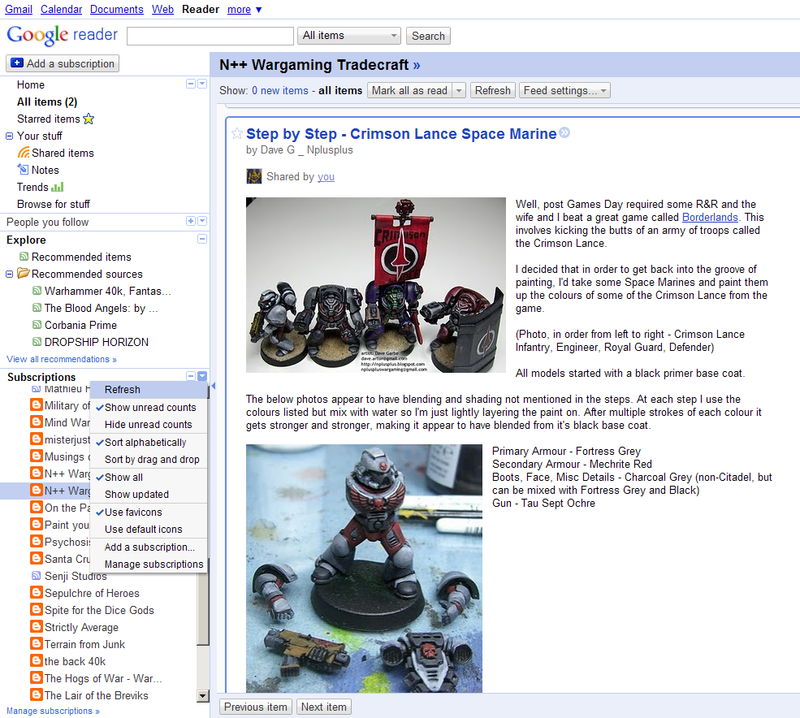 Right at the top you can search all items, specific categories or even a single blog for certain content. This way if you want to see everything your blogs have to say about anything from Dark Eldar to Dry Brushing. I am usually too lazy to use google reader, but it should also be mentioned it allows you to search your subscriptions - has come in very handy on occasion. Hah That's funny, I use Google Reader specifically because I'm lazy; I'm not gonna go around to a ton of websites, and forget half the good ones, when they can all be put into one place for me. I'm constantly surprised by people who don't use RSS readers... at this point, it's one of those fundamental internet tools. As key as email.